Christmas is almost here! Let the baking frenzy begin. I have homemade fudge, magic cookie, bars, peanut butter pinwheels, and cookies to make today. Some of these baked goods are being packaged up nicely and given as gifts. Others are being saved for our Christmas festivities. All of this baking is sure to make the house smell...well...smell like Christmas! Does anyone else have a lot of baking to do today or during the next few days leading up to Christmas Day? 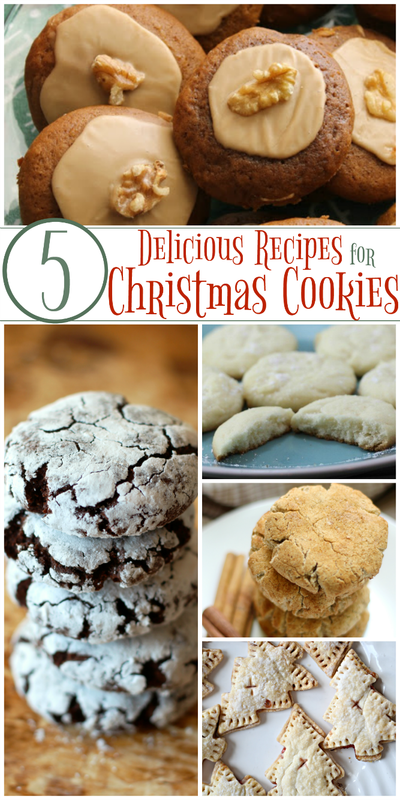 Looking for a delicious cookie recipe to try this season? Here are five delicious recipes to take a look at. Any one of them is sure to be a BIG hit with your family and friends. After all, what's Christmas without some tasty Christmas cookies?! I love recipes that have been handed down through the generations. There's something so special about a tried and tested recipe that's chock-full of memories. And that's the case for this blogger's recipe for Frosted Molasses Cremes. Love the taste of chocolate and peppermint? Then you're going to be a big fan of this tasty treat. Oh, and did I mention that they are gluten-free and dairy-free for those with allergies? These look scrumptious! And the best part is that it only takes three ingredients to whip up a batch. Here's a holiday classic! This particular recipe offers a few twists, though. These cookies are gluten-free, allergy-free, vegan, sugar-free, and oil-free. That means that everyone coming for the holidays can enjoy one...or a few! Filled with jam and cut like Christmas trees, these pie crust cookies are perfect for the holiday season! Party time! A Little Bird Told Me that you've been doing some amazing things! I'd love for you to share! Link up a recipe, craft, home decor project, homeschool post, activity/craft for kids, or any other post you're proud of! Your post will be shown on each host's blog where we will individually pick features each week. We're teaming up to bring you an even bigger and better party! Thanks so much for hosting! I just found your link party, and I've followed all of the hostesses in some form or another. I'm looking forward to looking through your blog. Thanks again! Oh my Gosh! Those recipes...I'm starving, at work, no food here! Looks yum! First time to your party! 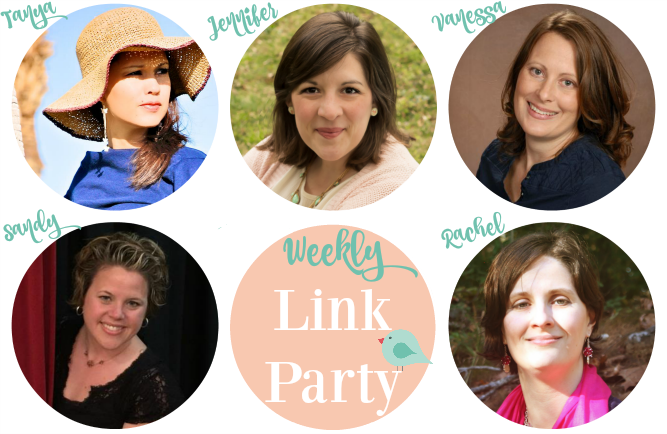 Linking up...thank you and Merry Christmas!